Almost stepped on these little purple nuggets popping out of the leaves. 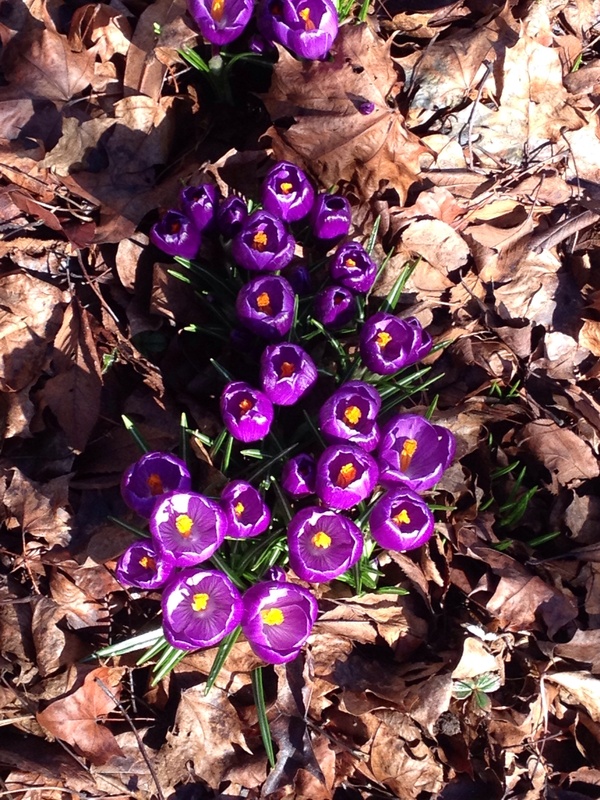 Crocus flowers are some of the first to bloom in the spring, often emerging long before snow and freezing weather has passed. When warm and sunny the flowers open. At night and if the air is cold the flowers shut tight. You can tell from the photo just what kind of day I am enjoying. If asked to describe an image of my soul, this little flower open to the sun would suffice.